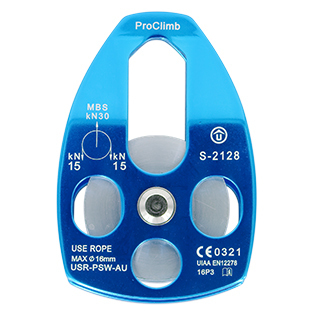 We offer a complete selection of pulleys for rope, rigging and rescue. Our Double Block Pulley has a becket and two Sheaves parallel for use with two ropes. Our Side Swing Pulleys have rotational Sheaves allowing easy insertion of ropes over the Sheaves. Our pulleys range from Mini, 3 oz. up to our 50 kN Alby Tree Rigging Pulley.